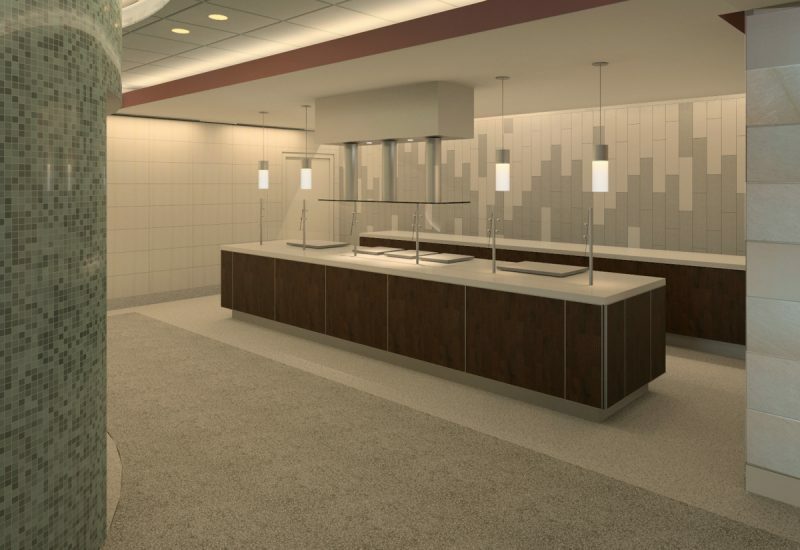 The renovation of Trivette Hall, originally built in 1991, addressed both facility improvements and changes in diner expectations. 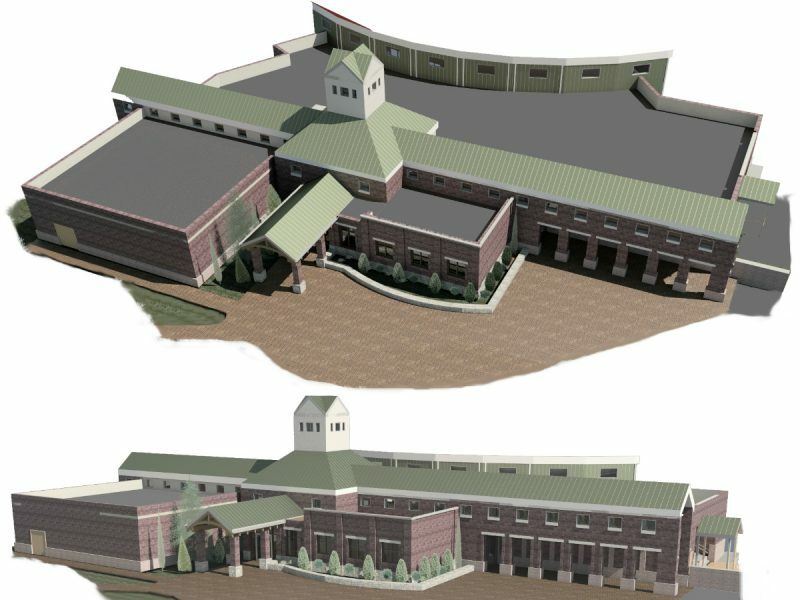 The scope of work involved sitework, building code requirements, and building system upgrades, as well as completely renovated food service and preparation areas. 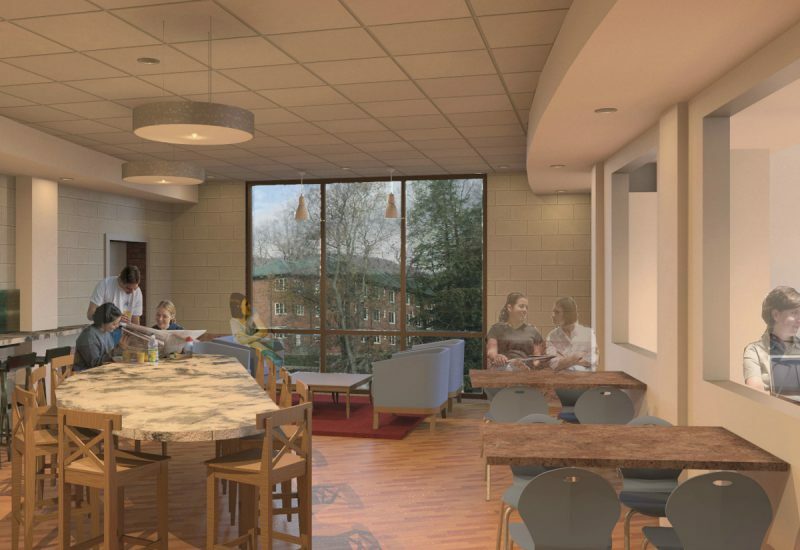 The newly renovated Trivette Hall overlooks Appalachian’s scenic duck pond and is home to Park Place Cafe, featuring a new Asian bar, hot food bar, daily sandwich specials, pizza, deli bar, salad bar, soups, desserts, and an expanded selection of On-the-Go items. The revitalized facility also houses a McAlister’’s Select Deli, offering sandwiches, soups, and salads for take-out, as well as The Market at Trivette, which offers typical convenience store snacks and merchandise. Fresh, modern materials and finishes, evocative of retail restaurants, reflect Appalachian’s connection to the outdoors and create an inviting space where students can ‘see and be seen.’ Custom-designed multi-colored, terrazzo floor; Italian porcelain wall tile; quartz countertops; and LED lighting throughout the building maximize durability and minimize maintenance in this very popular dining facility. 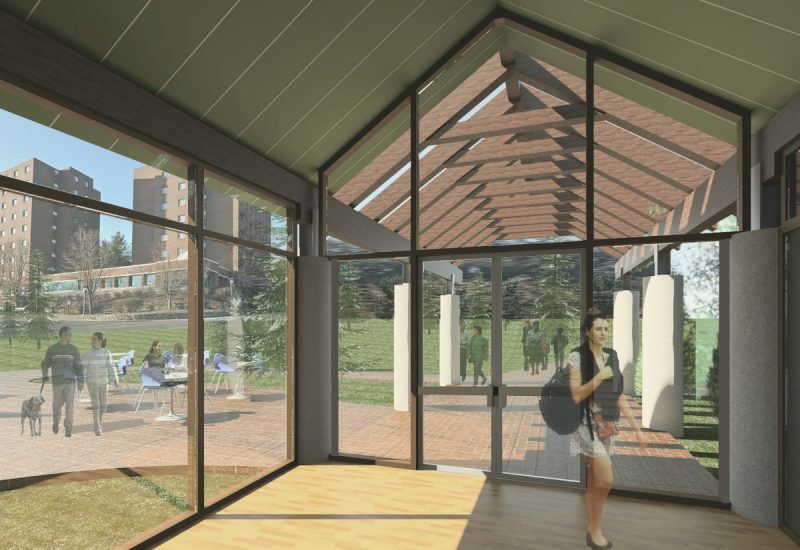 By removing interior partitions and incorporating additional exterior windows, daylight now penetrates deep into space and allows for stunning views of the Appalachian campus and surrounding mountains. The 22,500-SF project is registered with the US Green Building Council and is on track for LEED Silver certification.